Sometimes you discover a band and it makes you feel like you’ve discovered electricity. 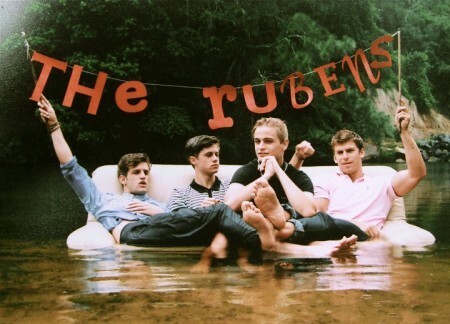 That’s how I felt when I stumbled upon The Rubens, a four piece rock outfit from Sydney, Australia. Consisting of three brothers and their childhood friend, The Rubens make gritty rock tracks sporting serious blues melodies layered with scruffy guitars and enough soul to make Aretha swoon. The quartet’s first single, Lay It Down, garnered serious attention in 2011 and they just released Don’t Ever Want To Be Found, the first single off the debut album which just finished recording in the States. I searched far and wide and bring you the only tracks I could find. Let the countdown for the new album begin….now. When? Any time you wanna feel like a badass. Where? If you feel like a badass, then where ever you damn well please.